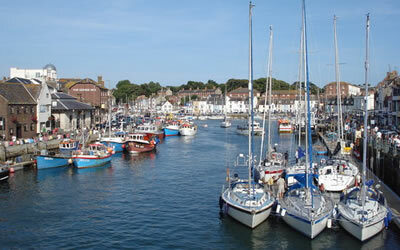 We offer RYA Competent Crew, Day Skipper, Coastal Skipper & Yachtmaster courses from the heart of the English Solent. Our fleet of 11 yachts ranging in size from 26ft to 50ft allows us to offer a wide range of RYA courses and other bespoke training. 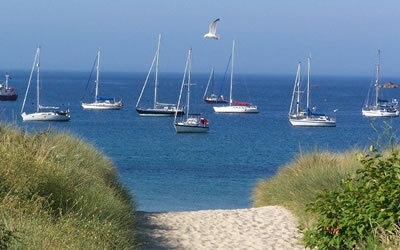 We also use our fleet of 11 yachts for bareboat & skippered Solent yacht charter. Ranging in size from 26ft to 50ft we can arrange a charter to meet your needs in the most exciting location in the world, the English Solent. 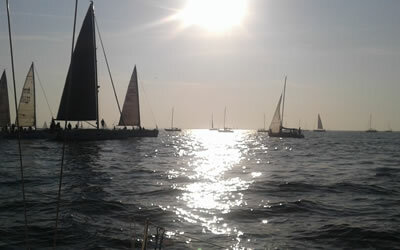 Our bespoke Solent sailing events includes days sailing, marina skills days, experience builder , cross channel cruises and race regattas ranging from 1 to 4 days in duration. The RYA Start Yachting course runs on a Bavaria 37 cruising yacht and is the perfect introduction to yacht sailing for all ages. The course runs over 2 consecutive days costing from £199 per person. The 5 day RYA Competent Crew course will teach you how to be fully involved in the sailing of a modern cruising yacht under the eyes of a qualified skipper. 5 Days of expert tuition including breakfast and lunch each day costs from just £399 per person. 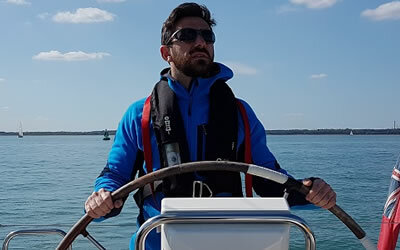 The RYA Day Skipper Theory classroom course will teach the required navigational, safety and seamanship skills required to complete the RYA Day Skipper Practical course. Costing from £299 per person for this 5 day course. 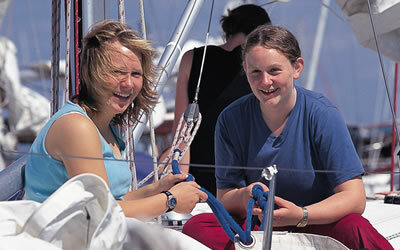 The RYA Day Skipper Practical certificate is the gateway to yacht charter and beyond. This 5 day course builds on your existing good practical sailing skills and teaches you the art of being a good day skipper. Costing from £399. As a well practised skipper your ready to start taking on longer journeys by both day and night. The 5 days of the RYA Coastal Skipper Practical course will make sure you always keep you crew and vessel safe. 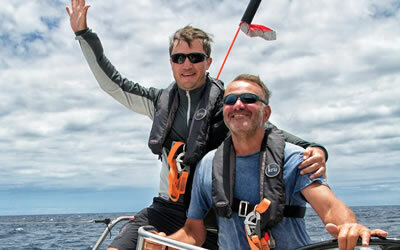 Becoming an RYA Yachtmaster is the pinnacle of the RYA scheme so not to be taken lightly. Your sailing skills by both day and night should be excellent and only require fine tuning to achieve the level of Yachtmaster. Our Solent day sailing experience costs just £99 with a buffet lunch included. Perfect for all levels of sailor from novice to Yachtmaster. We know that budding skippers and crew need to practice their sailing skills so our range of 2 day and 3 day sailing mile builders and cruises are the perfect answer. Or just come sailing with like minded people for just £99 per day. The RYA Powerboat Level 2 on the Solent is an amazing course that encourages many people to take up all types of boating as a hobby or more. It also gains you the ICC international license that allows you to charter powerboats abroad. From £199 per person. The RYA Short Range Certificate VHF Radio course is an absolute must for any boater and will give you the legal right to use the marine radio. A one day course from just £49 per person. The RYA Diesel Engine Maintenance course teaches you how to regularly service you diesel engine along with common fault finding and winterisation. Costing just £69. Coastal Pursuits have invested in 20 red bespoke engine covers to make our rib boat charter fleet stand out inb the crowd. These covers are manufacturer approved so they work perfectly on our Suzuki and Mercury rib engines. Coastal Pursuits will be offering places on our Bavaria 49 cruiser in this years round the island race 2014. Places will be limited with our own RYA Yachtmasters in overall charge of the yacht. Race day is Saturday 21st June 2014. Cowes Week 2014 is nearly upon us so don`t leave it too late to book a Solent yacht charter or a great day on one of our luxury motorboats. Of course a rib boat is a great way to view all the sight that Cowes Week has to offer.